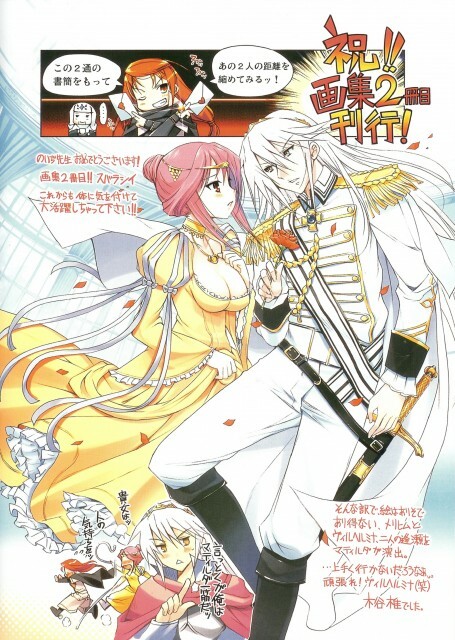 Scanned from Ka-e-n, Noizi Itoh's 2nd artbook. The two main characters are a couple so I've put it to Couple scan. NOTE: It's not drawn by Noizi Itoh. Hmmmm...do you know who the characters are? I like their period costumes. Thanks for sharing!